We have an extensive range of all Hardware and Building Supplies including; Plumbing, Timber, Gyprock and Cement sheeting, Lattice (plastic, pine & fibre cement), Outdoor Furniture, BBQ’s, Paint, Power tools, Home wares, Small Appliances, Camping, Gardening and lots more. We are a Wattyl Trade Paint outlet supplying the Trade and DIY market with Wattyl paints and coatings. We are also distributors of Leatherman goods. We service a large area of the Yorke Peninsula, including Maitland, Kadina, Wallaroo, Port Hughes and Moonta Bay. 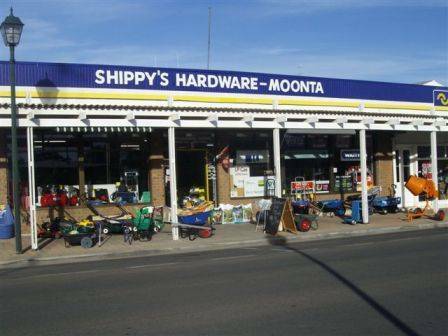 Shippy’s Hardware also has a sister store located at Burra in the Mid North of SA. Mon. – Fri. 8.30am to 5.00pm.